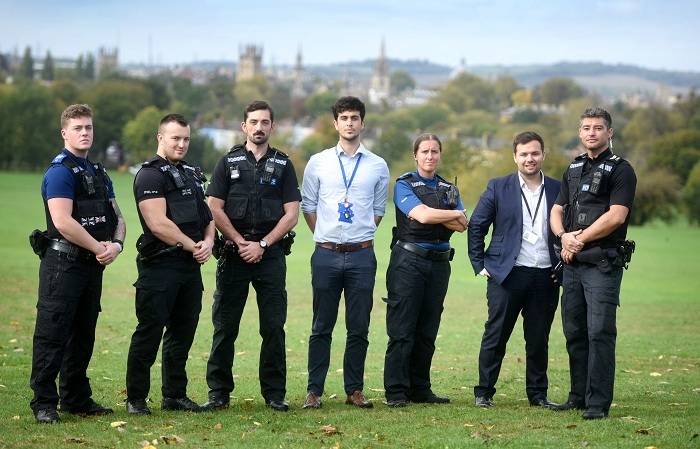 Oxford City Council, Thames Valley Police and Oxfordshire County Council have created the Oxford Public Spaces Drugs Taskforce to tackle open drug dealing and drug taking in Oxford. We believe that no one should have to put up with persistent and unchallenged drug dealing and drug taking in their community. If you witness drug dealing or drug taking in your community, please report it to Thames Valley Police on their website. All information is useful, and everyone who makes a report will receive a call back from the taskforce within a few days - and then again after six weeks. If you find a discarded needle in Oxford, please report it on our report needles page. All discarded needles will be picked up within one hour during office hours and within two hours outside office hours. The taskforce includes a police sergeant, two police officers, two PCSOs, a problem solving officer, and a problem solving analyst. The taskforce is funded by Oxford City Council, Thames Valley Police and the Oxford Community Safety Partnership. The taskforce, which launched in August 2018, targets three hotspots at a time and carries out bespoke activity to make it harder to deal or use drugs in the area. Find out more about the work carried out in the first six months by the taskforce. In the first six months, the taksofrce has called back 259 members of the public to gain insight into drugs issues in their neighbourhood. The Oxford Public Spaces Drugs Taskforce refers drug users into treatment centres, including Turning Point Oxfordshire. Drug treatment is freely available in Oxford to everybody who is affected by drug use, and there are no waiting times.